The Stereo Attachment FK-SK1 for Kiev cameras was made by Arsenal plant in 1955-1960. I had difficulty finding reliable information about the production numbers. This accessory is rare and is getting harder to find, especially a full factory set. It is a very desirable addition to your Russian (or Contax) camera collection. It is also a lot of fun to use. The attachment is basically a set of prisms mounted in an aluminum alloy enclosure. 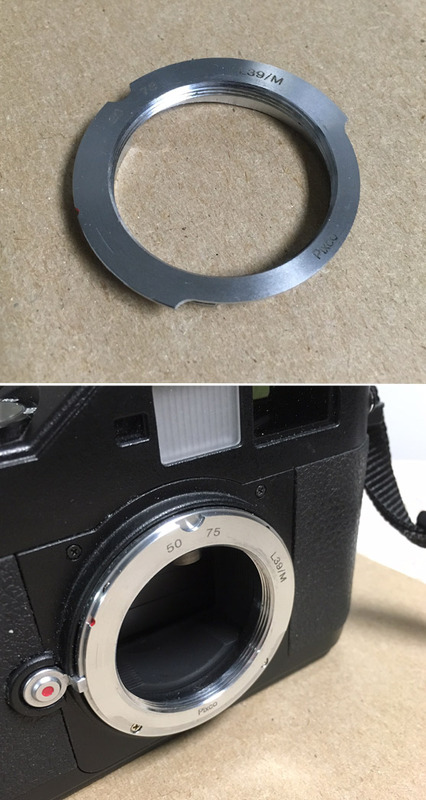 It mounts on the external bayonet of any Kiev or Contax . A 24x36 mm frame now accommodates two images, approximately 18x24 each. When the image is enlarged, a usable stereo pair is produced. It then can be viewed using a special stereoscope. I tried (and succeeded) to mount this Stereo attachment on the following cameras: all Kievs (from the early II to the latest 4am), a Contax II with Sonnar 50/2 (shown on the picture) and a Contax III with Sonnar 1.5/50 (This device has two convenient cutouts to access the aperture dial. It is sturdy, well made, and can be quickly removed or attached. The Stereo is in exc. condition, there are some paint rubs on the body, but the glass is clean. It comes with a vinyl storage case and a special rangefinder mask which represent the actual aspect ratio in the Kiev/Contax viewfinder. You can see it installed on the viewfinder window of the Contax II on the image. This mask is a very rare accessory, it is almost always lost. 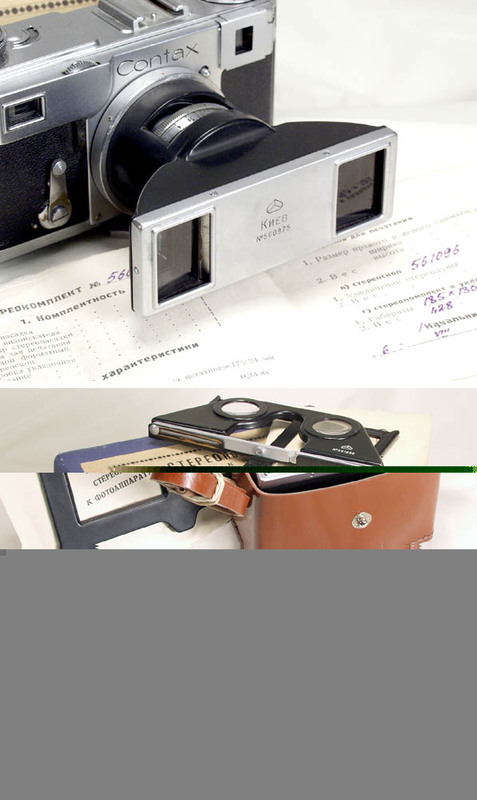 The FK-SK1 stereoscope is well made, it can be easily folded for compact storage. A printing easel is also included. It is needed to achieve the correct magnification when printing the stereopair. The Stereo Attachment is shown mounted on a Contax II (not included).